The New Avatar UR (ULTRARESIN) collection, virtually unbreakable!!! An incredible re-creation of the look of real gemstones with a Hyperflex nib! featuring a clean, streamlined look and timeless modern shape. Never be left high and dry at the office, on the road, or wherever you write. 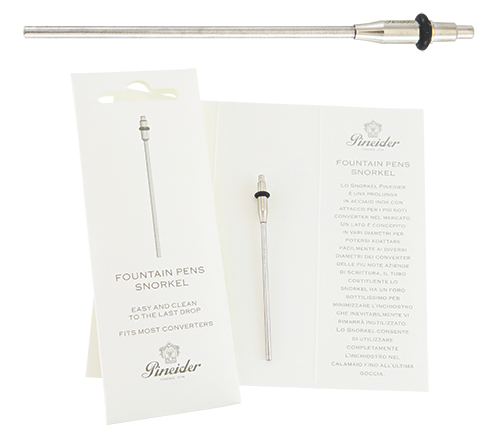 Fountain Pens Snorkel The Pineider Snorkel is a stainless-steel extension with an adaptor nozzle for the converters most commonly found on the market.